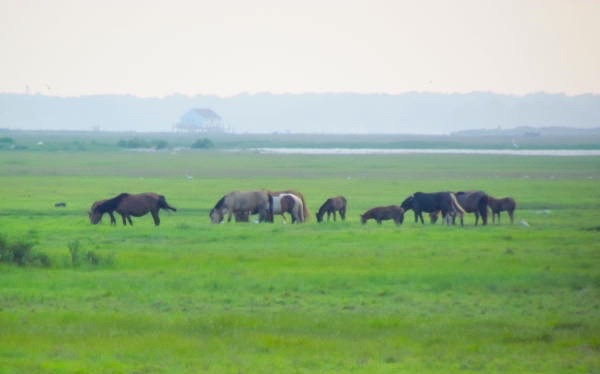 You don’t have to be a childhood reader of Marguerite Henry’s classic Misty of Chincoteague to be fascinated with the wild horses of Assateague Island National Seashore. In fact, these may be some of America’s most famous horses outside of the Triple Crown — an embodiment of untamed freedom galloping down the beaches of coastal Virginia and Maryland. However, there’s more to a visit at this 50-mile-long park than stalking the ponies, although admittedly that’s what initially drew us down the coast this summer. The park’s north entrance, within easy range of Ocean City, offers the bonus of access to wide, uncrowded Atlantic beaches, for example — and you may even find wild horses nibbling the grass as you pull into the beach parking lot. If you have a 4-wheel-drive vehicle and are feeling bold, get a permit to drive beyond the short paved park roads and down the beach, where you can camp in splendid isolation. 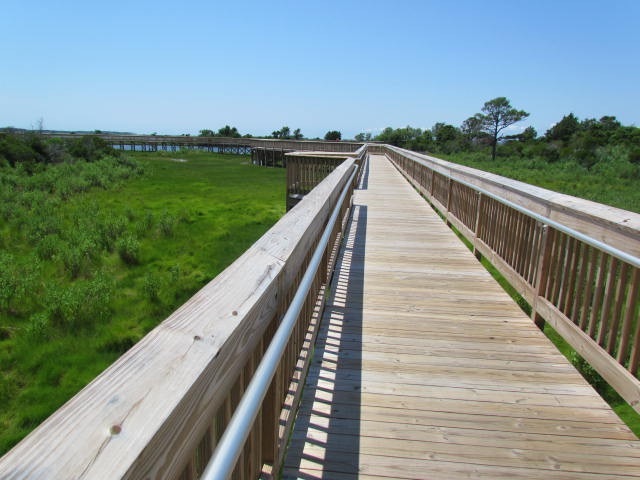 If you come in summer, we’d recommend hitting the beach rather than the park’s dune and forest hiking trails, where your enjoyment may be severely impaired by the constant assault of mosquitoes and biting flies (the marsh trail, with its high boardwalks, are a better choice for a short hike). But any time of year is good for pony-gazing, and you can also try your hand at crabbing for some famous Maryland blues or kayaking the calmer waters of Chincoteague Bay.